Introducing Jeti DS-12 Radio System. Did You Know? Pre-Orders Open for Jeti DS-12 2.4GHz/900MHz RC Systems!!! Check Out the May, 2019 Issue of Model Aviation Magazine!!! Check Out the April, 2019 Issue of Model Aviation Magazine!!! 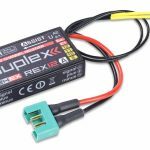 We are excited to welcome the design of the new REX ASSIST receivers! 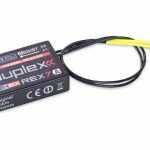 The REX A series enhance the REX series of receivers by adding the intelligent flight stabilization feature, which is designed for airplane models and multicopters. This stabilization works in all three axes of the model and facilitates flying in windy or otherwise challenging conditions. Aerobatic maneuvers will be more accurate and smoother. With the help of several flight modes, which are also suitable for beginner pilots, flying practice will be really easy. 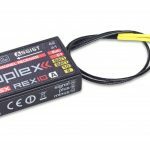 The REX A receivers are compatible with all existing 2.4GHz Duplex Tx modules and DC/DS transmitters. You can set them directly via DC/DS transmitters, alternatively you can use the USBa adapter and JETI Studio software (free download at www.jetimodel.com). The receivers provide internal telemetry (e.g., receiver quality, inertial unit status and G-force level). They also process telemetry from external sensors compatible with Duplex EX or EX Bus. In order to stabilize the airplane model effectively in flight, it is appropriate to equip the model with high speed digital servos. Stabilization is also suitable for combustion engine models. Prices are expected to be around $145(R7 REX Assist), $175(R10 REX Assist), and $195(R12 REX Assist). PREVIOUS POST Previous post: Congratulations Matt! NEXT POST Next post: The Jeti DS-24 Have Arrived! When can we purchase one? Hello. There is not a set release date for USA yet. Please keep an eye on it. Thanks! Copyright Jeti USA © All right reserved.